This little gem is fully functional as a teapot and as a beautiful decorative piece when it is not in use. 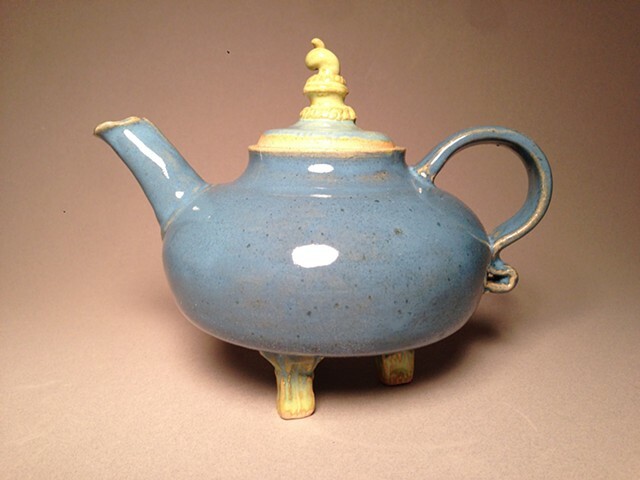 The body of the teapot was wheel-thrown and then the details and feet were added on. It is perfect for your favorite tea and snacks.